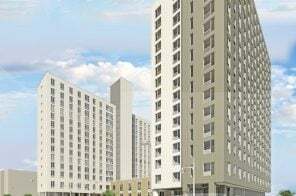 The most expensive transaction on record for a development in the Bronx officially closed Wednesday, after Brookfield Property Partners picked up the two sites for $165 million from Somerset Partners and Chetrit Group. 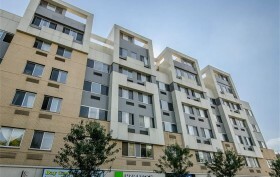 Originally, Somerset and Chetrit planned for all of the development’s 849 residential units to be market rate, and while Brookfield intends to keep the same number of apartments, they are designating 30 percent of them affordable, according to the Real Deal. 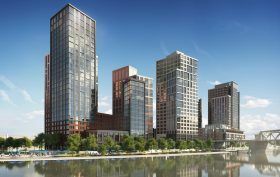 Somerset Partners and Chetrit Group have sold their massive South Bronx waterfront site to Brookfield Properties for $165 million, the priciest transaction for a development in the Bronx on record. As the New York Post reported, the project includes two sites on either side of the Third Avenue Bridge. 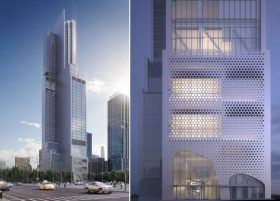 At 2401 Third Avenue, original plans called for a 25-story standalone tower and a 25-story and 16-story building rising from an eight-story base. 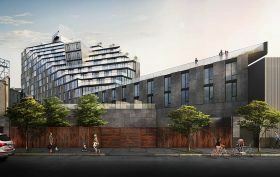 Developers also planned to bring three 24-story buildings and a 22-story building on top of a six – and seven-story base at the second site at 101 Lincoln Avenue. The massive South Bronx waterfront development planned by Somerset Partners and Chetrit Group is coming together–at least visually. 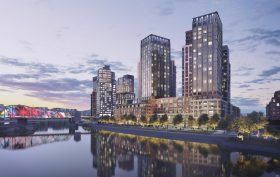 CityRealty revealed a rendering of the second parcel of a two-parcel master plan that will eventually hold six residential towers and park space. 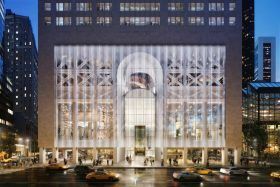 Construction on the first three buildings within the first parcel at 2401 Third Avenue was approved last summer. This second parcel at 101 Lincoln Avenue will hold three more towers, 25 stories each, with a grand total of 826 apartments. 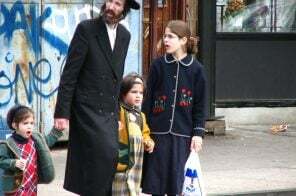 The developers have long heralded this development as a game-changer for the South Bronx, but faced pushback after Somerset developer Keith Rubenstein attempted to rebrand the area as the “Piano District” and held a party that capitalized on the struggles of the Bronx in the 1970s, featuring burning trash cans and a bullet-ridden car. 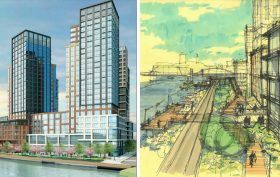 Controversial South Bronx Developer Keith Rubenstein of Somerset Partners, along with the Chetrit Group, received approvals earlier this summer for a two-site, six-tower, mixed-use master plan on the Mott Haven banks of the Harlem River. 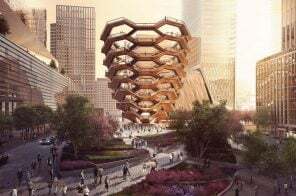 This is the same project that Rubenstein touted as part of his campaign to rebrand the southern portion of the borough as the “Piano District,” a marketing ploy that nodded to the piano manufacturers that dotted the area 100 years ago, but that featured a misguided party with burning trash cans and a bullet-ridden car, referencing the horrible “Bronx is burning” days of the 1970s. 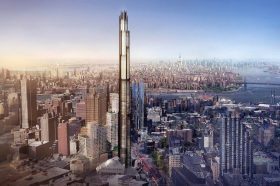 Contention aside, the development is moving ahead, and CityRealty.com has a 360-degree look at how the first site’s three towers (two at 20 stories and one at 25) will transform the South Bronx skyline. These buildings at 2401 Third Avenue will rise just to the northwest of the Third Avenue Bridge, the former site of an 1880s iron works building that will soon boast $3,500/month apartments.